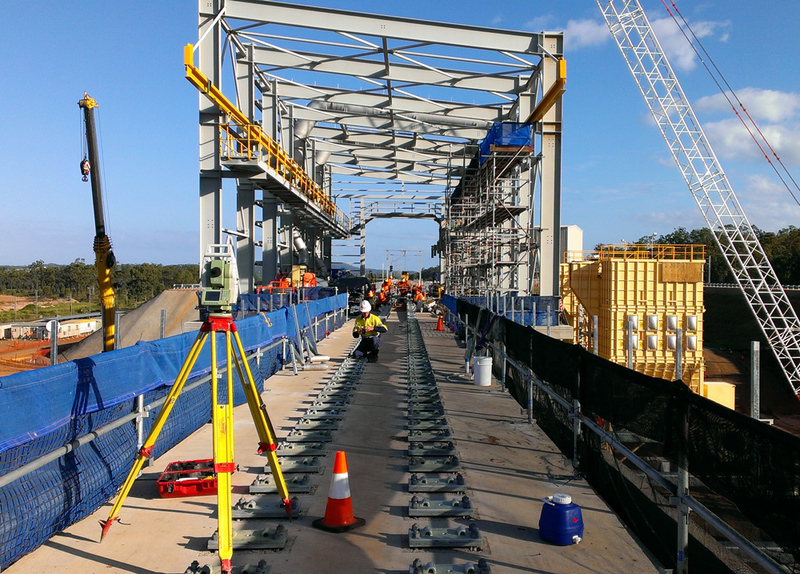 Sun Engineering utilised North Surveys for the Wiggins Island Coal Export Terminal Project constructing the Overland Conveyor and Rail Receival. The WICET Overland Conveyor spans 5.5km, in part over seabed reclamation which is subject to rapid settlement. The conveyor has multiple horizontal and vertical curves which limited the use of most conventional alignment techniques. North Surveys provided solutions to achieve high accuracy mechanical alignment of the conveyor with comprehensive reporting to satisfy the client. We were also able to assist the project owner with redesign of the alignment where necessary to achieve the best outcome.